These are instructions for transferring an MP3 audiobook from a Windows computer to an Apple iPhone, iPod, or iPad. 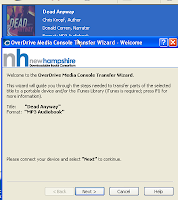 Once you've checked out and downloaded your MP3 audiobook to the OverDrive Media Console for Windows, you are ready to transfer the audiobook to your Apple device. 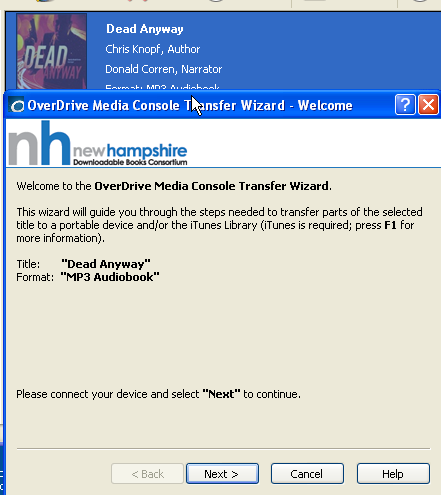 In order to transfer MP3 audiobooks from a PC to an Apple device, you must have both the OverDrive Media Console and iTunes installed on your computer. 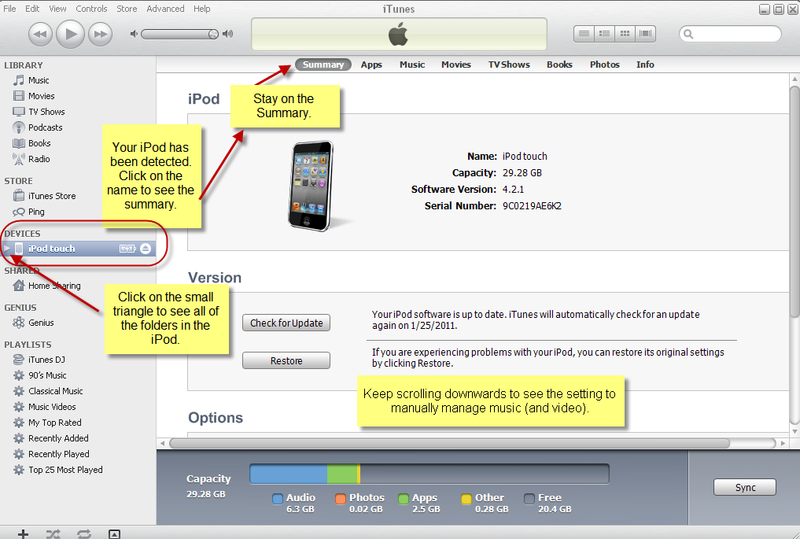 If you are a PC user who owns an iPod, it is likely that you already use iTunes. Be sure that you are using the most recent release (from the Help menu >> Check for Updates). If you don’t already sync your iOS device to a computer, you’ll need to install iTunes and authorize it with your same iTunes ID and password as used to purchase items on your Apple device. 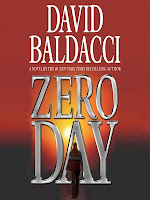 Download the WMA or MP3 audiobook to the OverDrive Media Player program on your Windows computer. Attach your iPod/iPhone/iPad to the computer with the USB cable. Let the device sync, backup, transfer purchases, and update as needed. Don’t try to transfer the audiobook until all of this has finished. You must have the device set to “Manually Manage Music (and Video). From the left sidebar >> Click on your device name >> Stay on the Summary page >> Scroll down to see “Manually Manage Music (and Video) >> Select >> Apply. Be sure to apply the changes! You will also need to make a quick change to the import settings in iTunes. From the “General” tab, click “Import Settings” button. Why Change the Import Settings? When transferring the WMA audiobook file to an iPod, the WMA file is converted to an iPod-friendly AAC file. This conversion/transfer can take 2-4 minutes per part. The OMC software prompts the patron to change the iTunes import settings from “High Quality” to “Spoken Podcast.” Doing so will significantly reduce the transfer time. The changes to the iTunes settings only need to be done once. You are now ready to transfer the audiobook to your iPod. Open the OverDrive Media Console. Click once on the audiobook you wish to transfer. It should now be blue. Click the Transfer button and the Transfer Wizard will open. The second screen shows you the name of your iPod. (Success!) Press “Next." An MP3 audiobook should transfer through iTunes to your device very quickly. Watch the progress happen in iTunes, too. Close the OMC Transfer Wizard when prompted, but leave the iPod connected and iTunes open. Note that your audiobook will not be located in iTunes itself; it will be loaded on your device. MP3 audiobooks will be in your Music folder on your iPod. Click on your device from the right-sidebar. If you don’t see a “Books” folder directly under your device, click the small arrow immediately to the left of the device name to view the folders in your iPod. The MP3 audiobooks don’t have metadata to let iTunes know that it’s really an audiobook. It will be located in your “Music” folder on your iPod. Adding some information to the audiobook parts will keep the audiobook from shuffling and player will remember your location in the book. From iTunes >> Device >> Music >> Find your audiobook. Select all of the parts together. Shift-click to select all parts. Right-click anywhere on the selected parts. Make sure each of these options is checked, too. 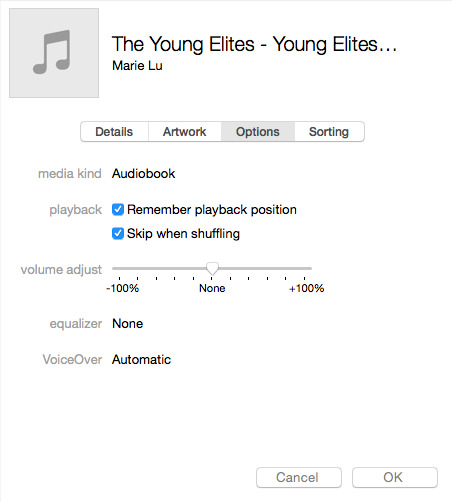 The audibook will quickly move from the “Music” folder to the “Audiobooks” folder. 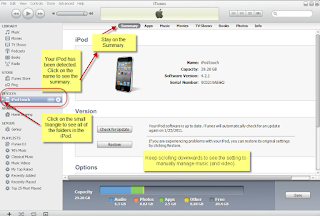 If the audiobook did not transfer from the OverDrive Media Console to the Apple device, follow these instructions to move the audiobook directly into iTunes and to the device.